GCM Ministries has, together with thousands of local churches, conducted more than 100 city-wide, high-intensity mega city media campaigns. 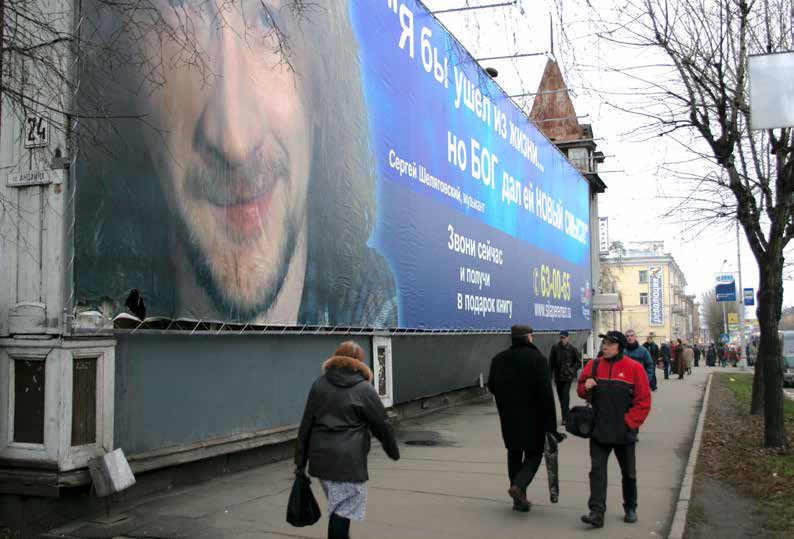 Included in these campaigns are cities in Russia, India, Ukraine, Israel, Iraq, Palestinian territories, Nepal, Kazakhstan, Kyrgyzstan, Uzbekistan, Finland, and Guyana. The campaigns have reached over 250 million people with hundreds of thousands responding to the Gospel message. Read selected reports from some of our past evangelistic mega city campaigns here. By television and radio, seen and heard in other cities, we have presented the Gospel to millions of people. Through the campaigns so far over two million high-quality evangelistic campaign books have been given out to people searching for the power to change their life. The 100-page book details the way of salvation, including the first steps of the one’s journey of faith. It is tailor-made for each city and consists of the best life-changing testimonies from each city. many suicidal people have been saved, drug addicts have been freed of substance abuse, broken families have been healed and reconciled, etc.